Deaf Centre Manitoba Inc.: Disability Matters Vote 2016 Election Night Wind Up & Celebration- Have ASL Interpreter/Captioning available!! 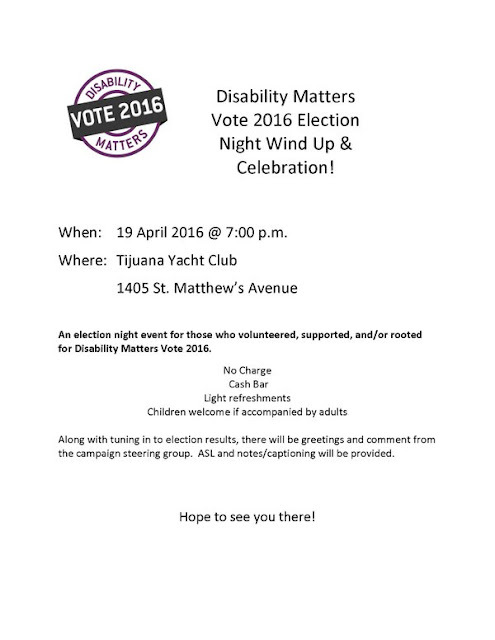 Disability Matters Vote 2016 Election Night Wind Up & Celebration- Have ASL Interpreter/Captioning available! !